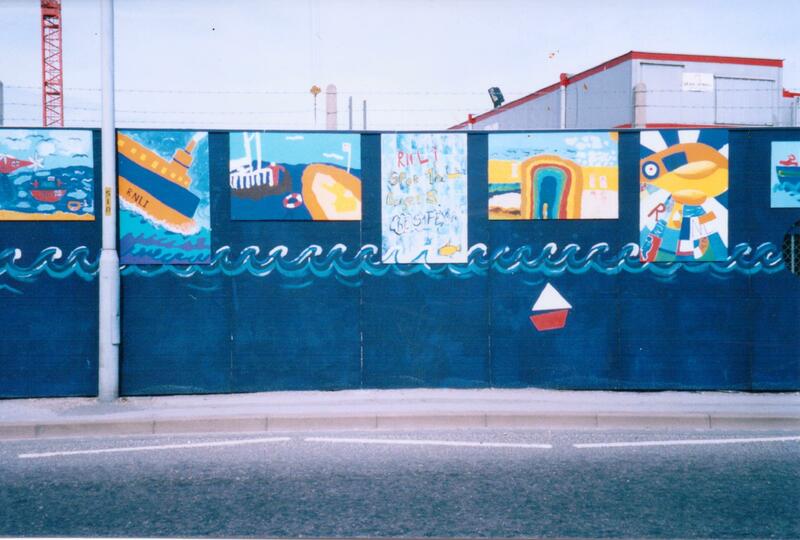 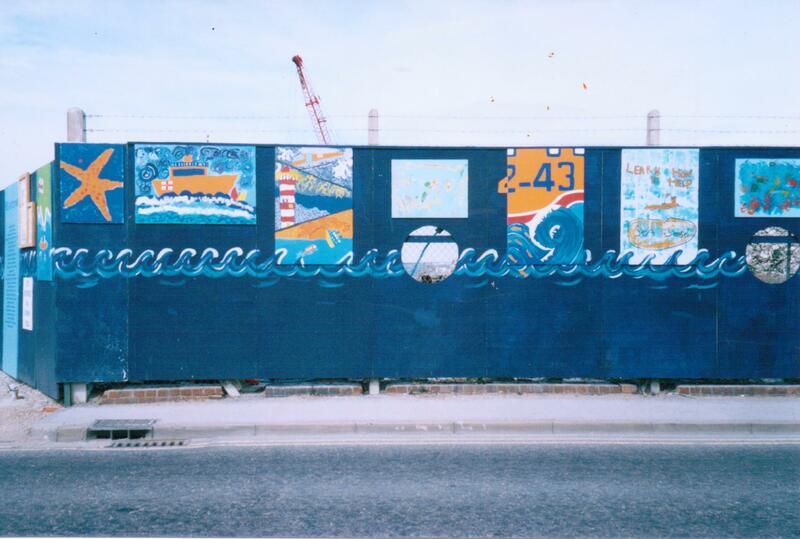 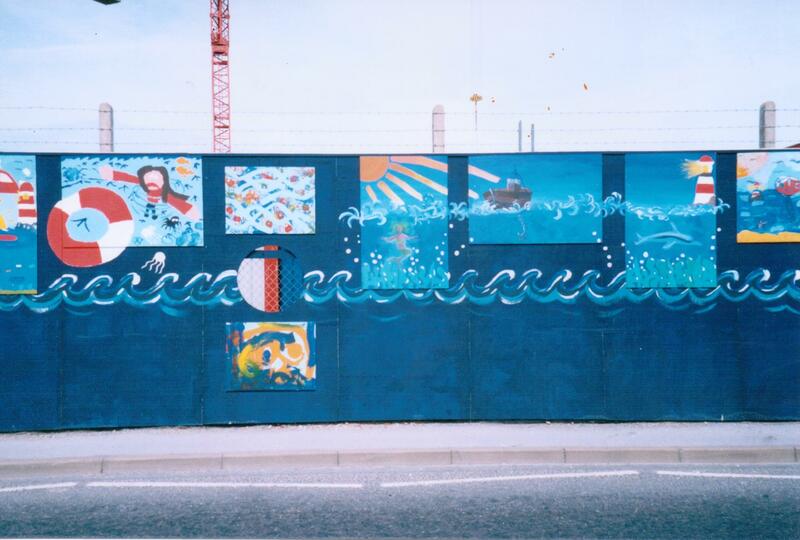 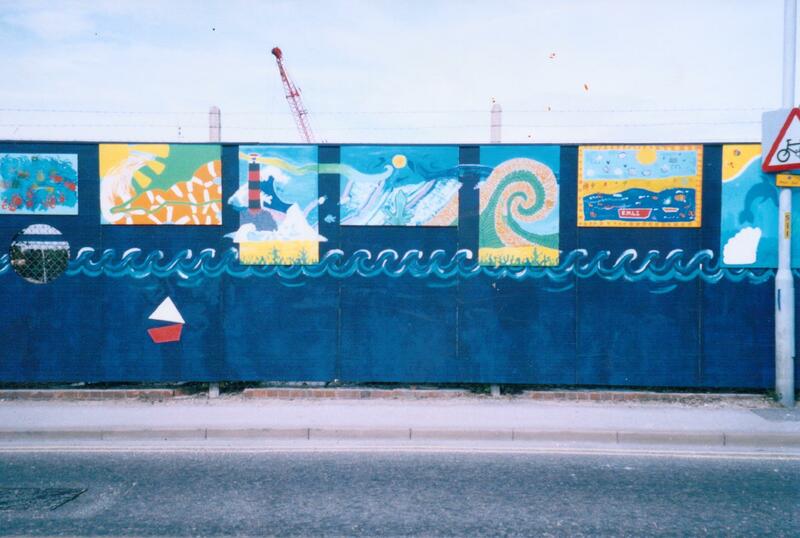 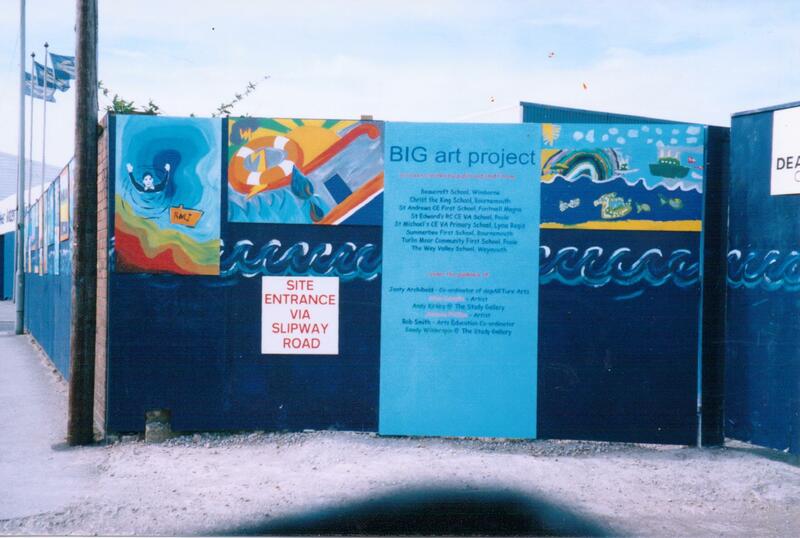 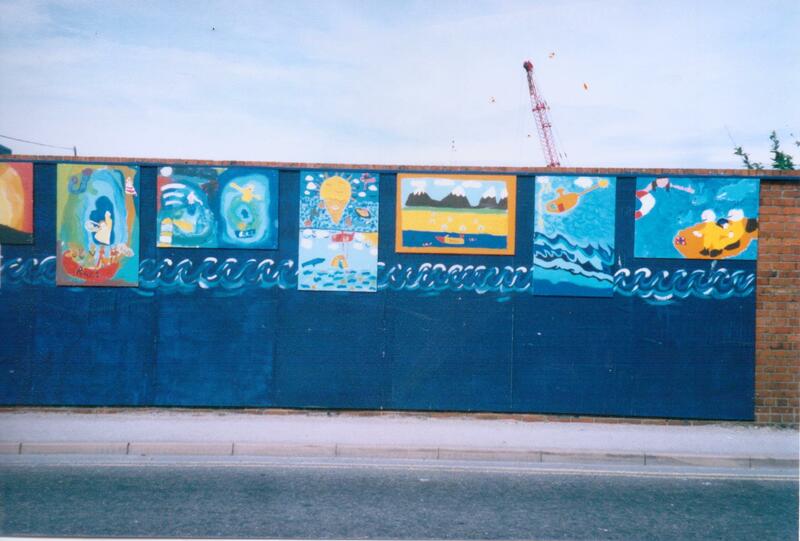 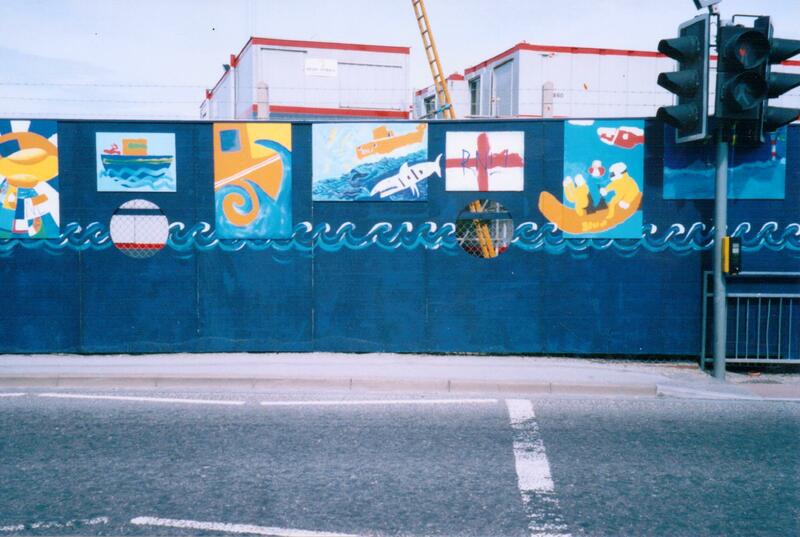 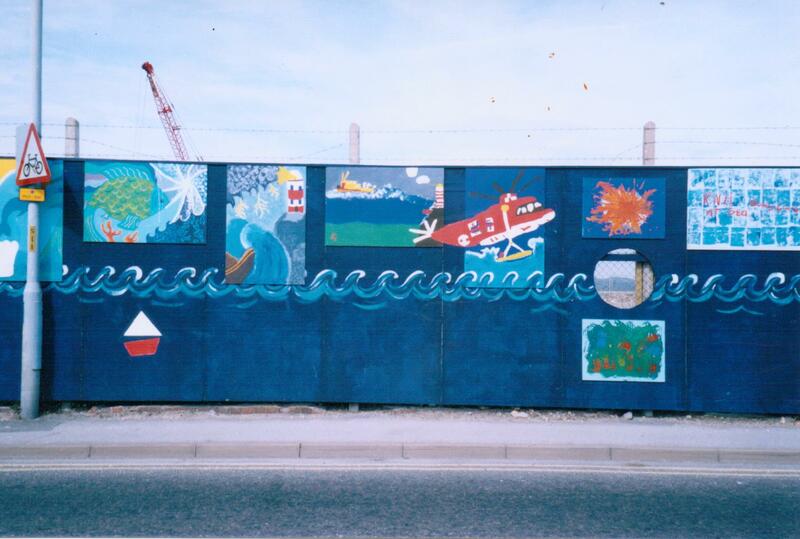 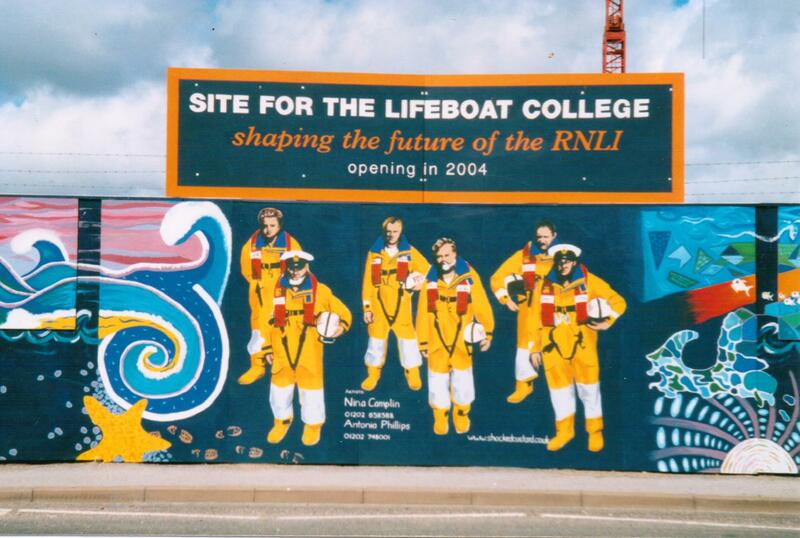 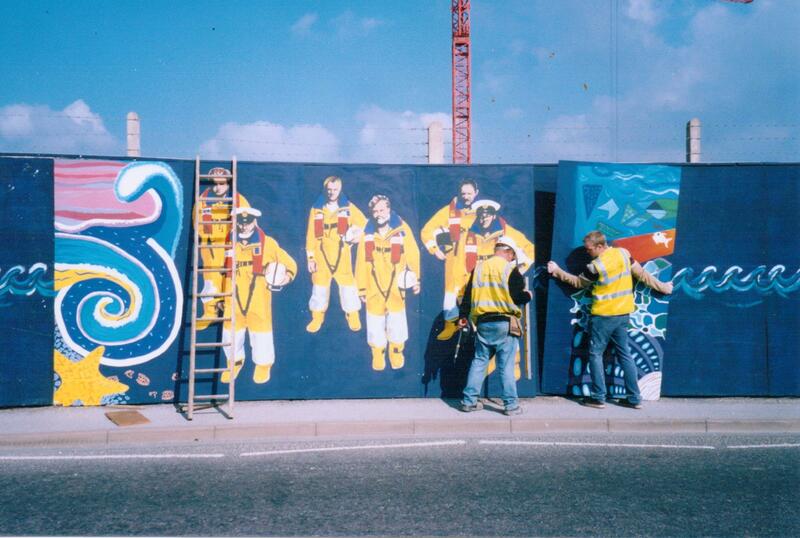 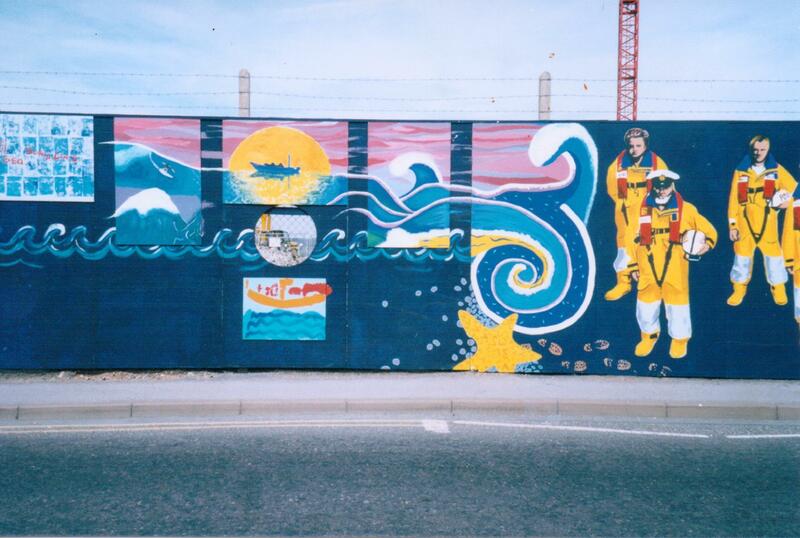 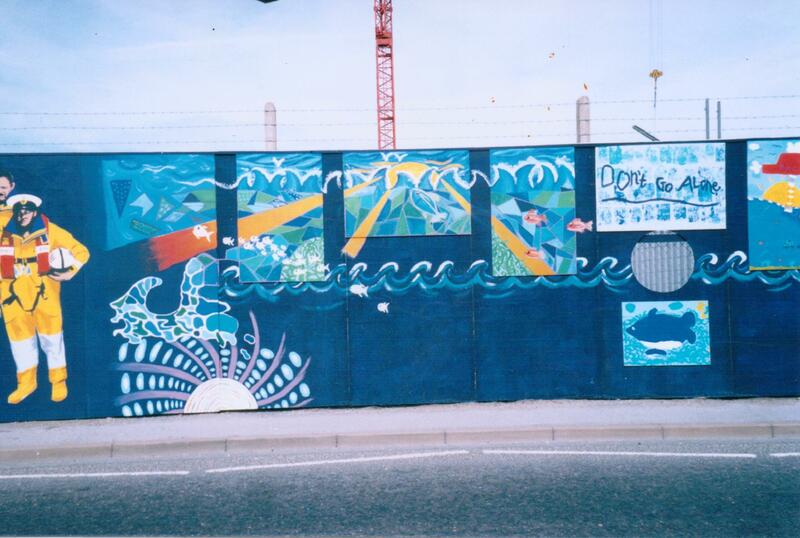 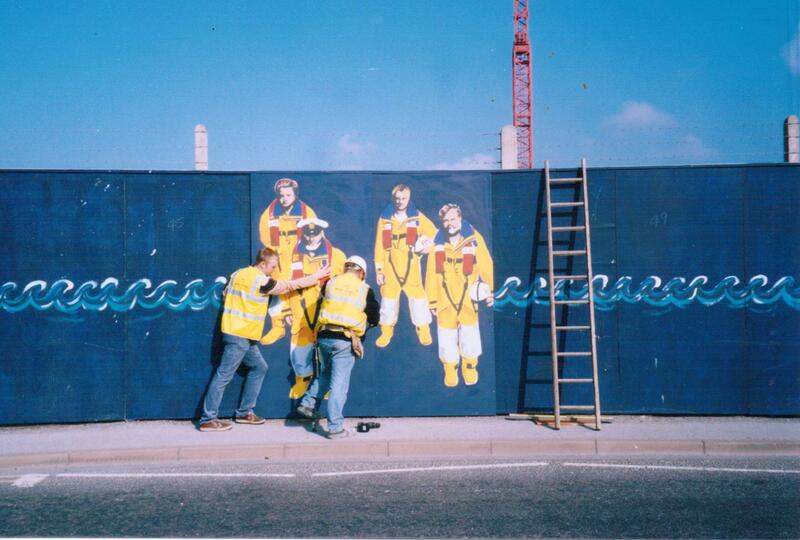 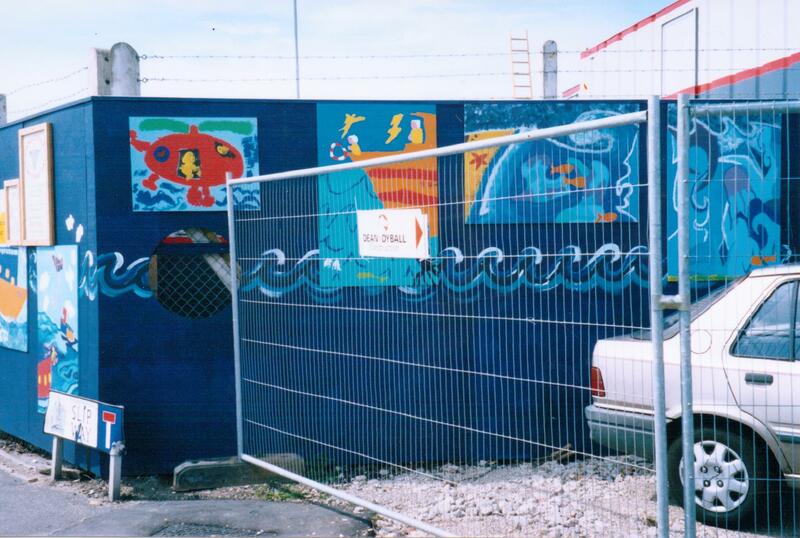 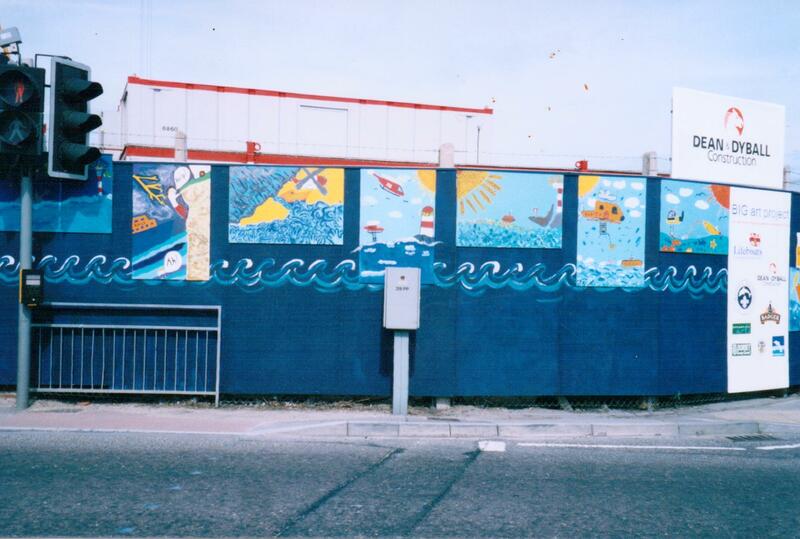 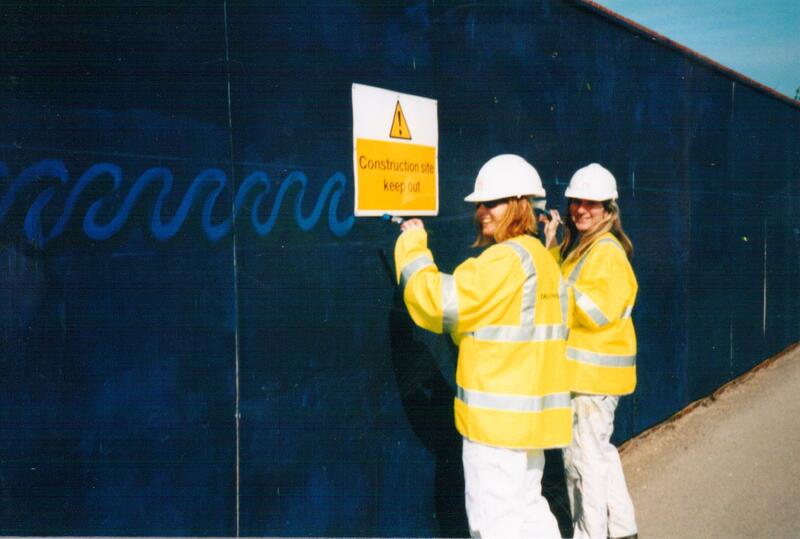 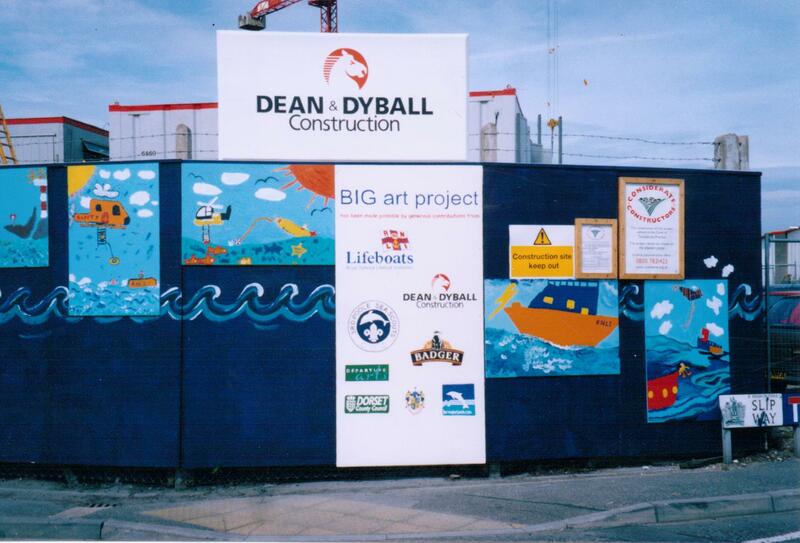 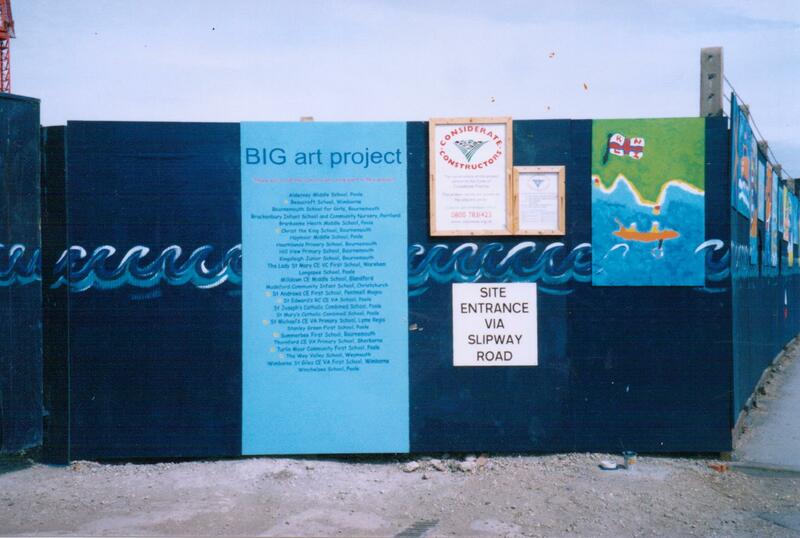 Along with local artist Antonia Phillips and in conjunction with The Study Gallery, this was a project co-ordinated by Rob Smith from Poole and Bournemouth Arts Development Team to decorate the hoardings surrounding the RNLI Lifeboat College whilst it was under construction. 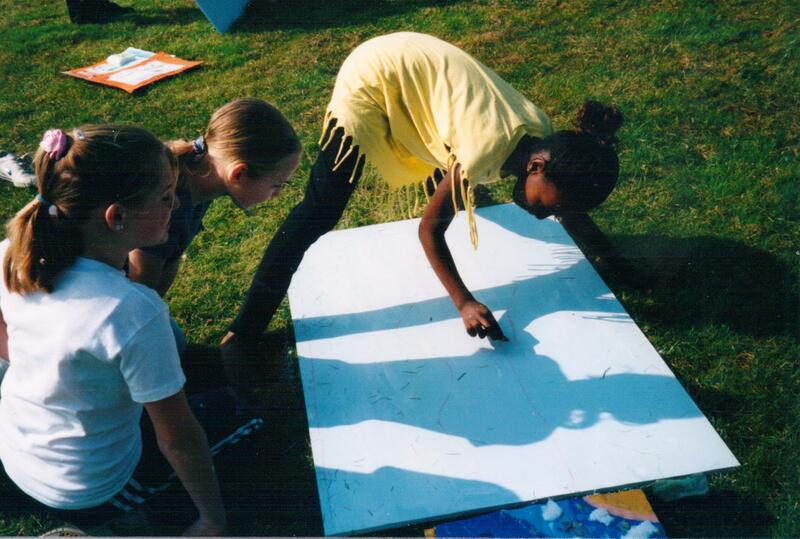 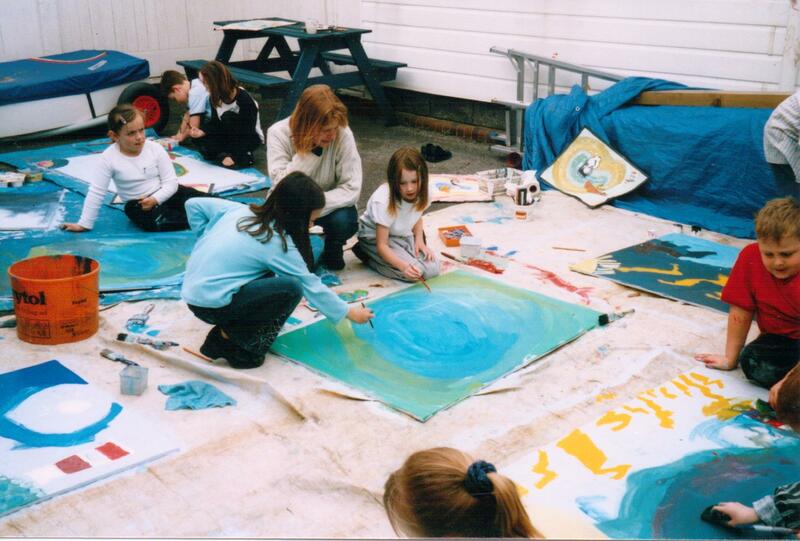 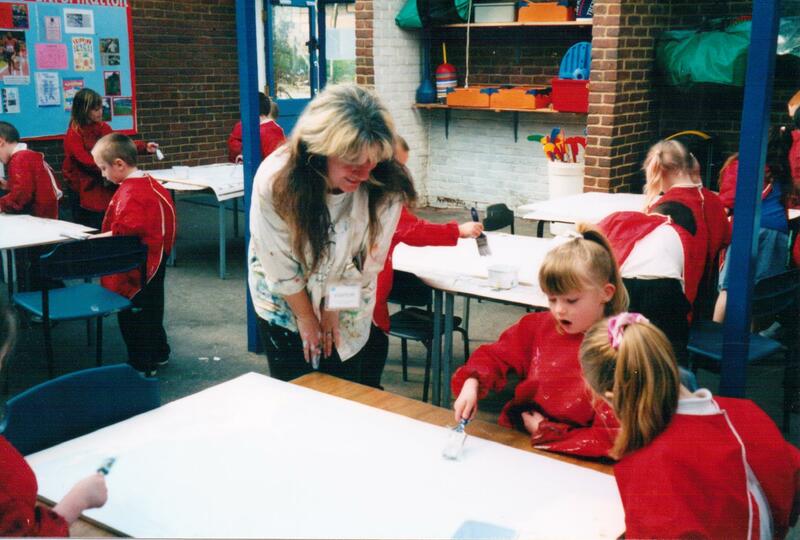 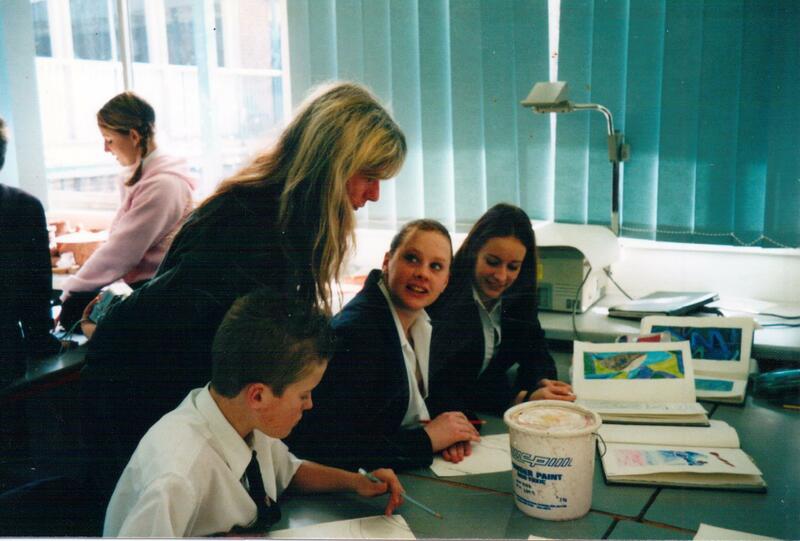 A competition was opened up to all the schools in Dorset and from the 35 that took part, 8 were chosen to work closely with Antonia and Nina on designing and painting the boards. 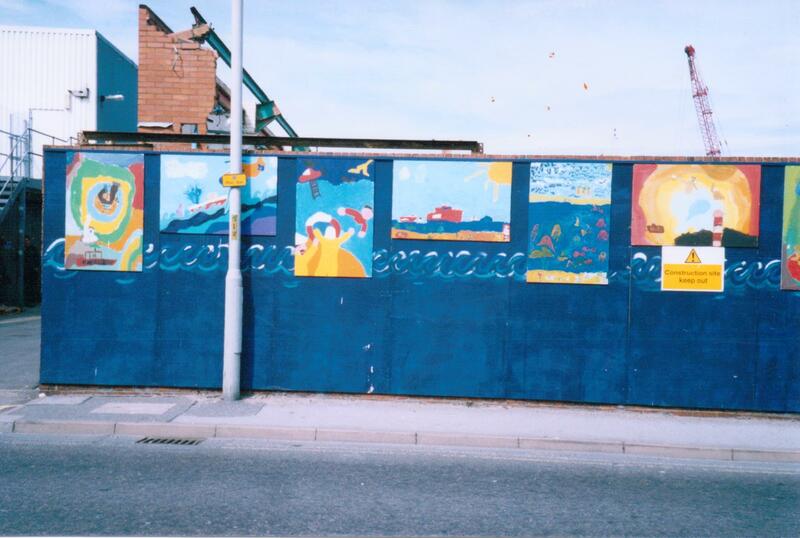 The hoardings were in place for just over a year, after which a selection were chosen to go on display as an exhibition within the reception area of the college when it was completed.